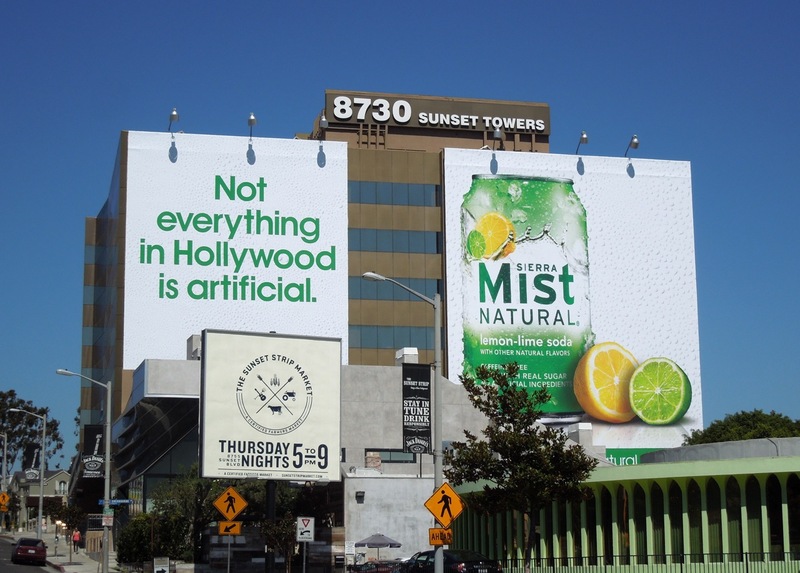 Now here's an interesting strategy, it's not every day that a brand insults or pokes fun at the very residents they're trying to sell their product to. 'Not everything in Hollywood is artificial', indeed. 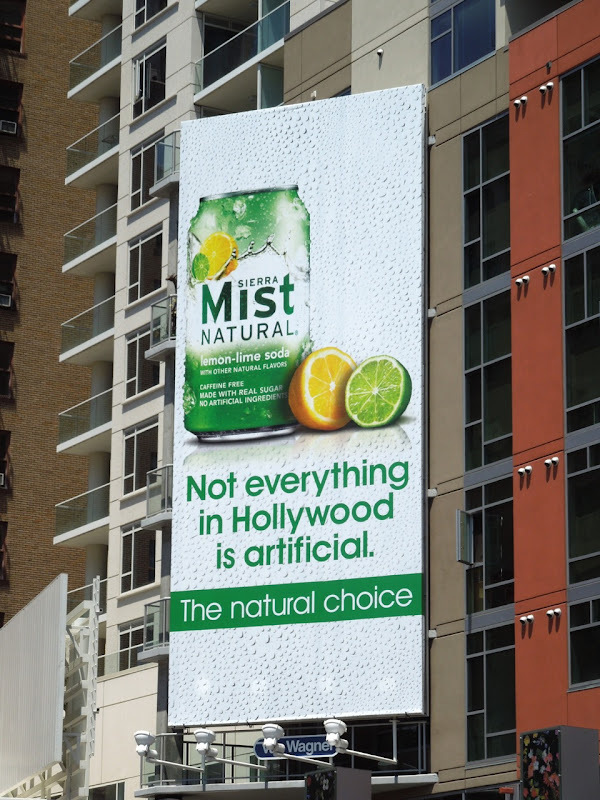 Fortunately for Sierra Mist and their lemon and lime soft drink, there may be lots of plastic faces and fake personalities in Hollywood, but at least Tinseltown inhabitants have a good sense of humour (and Daily Billboard is sure that's what this brand is counting on). 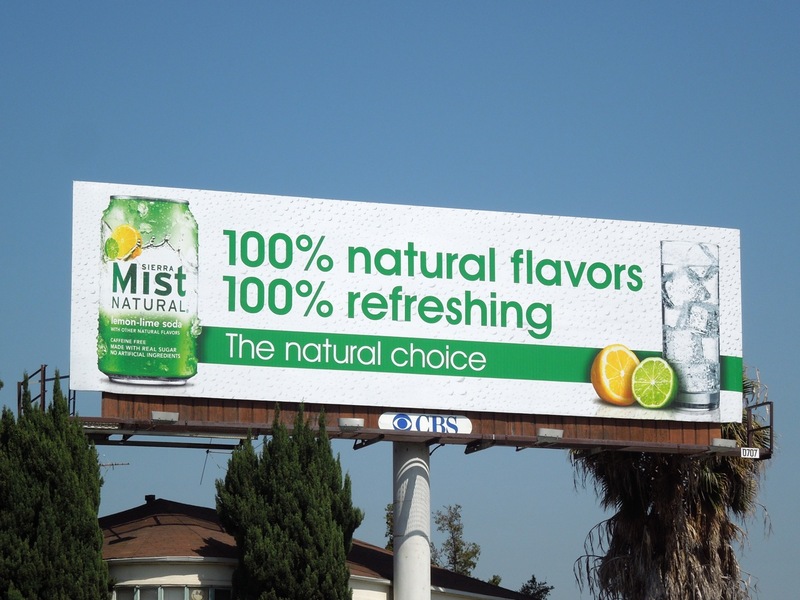 They're also trying to appeal to Los Angelenos healthy lifestyles (and the fact they're always open to the next new health fad), by heavily emphasizing the natural ingredients of the drink (although this is still a soda after all). 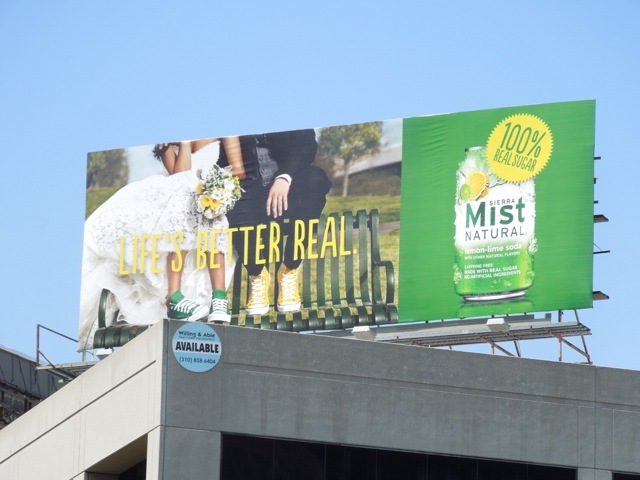 These tongue-in-cheek billboards with their bright white backgrounds beaded with moisture, combined with zingy, zesty citrus fruit colours, make for refreshing looking ads around the streets of L.A. 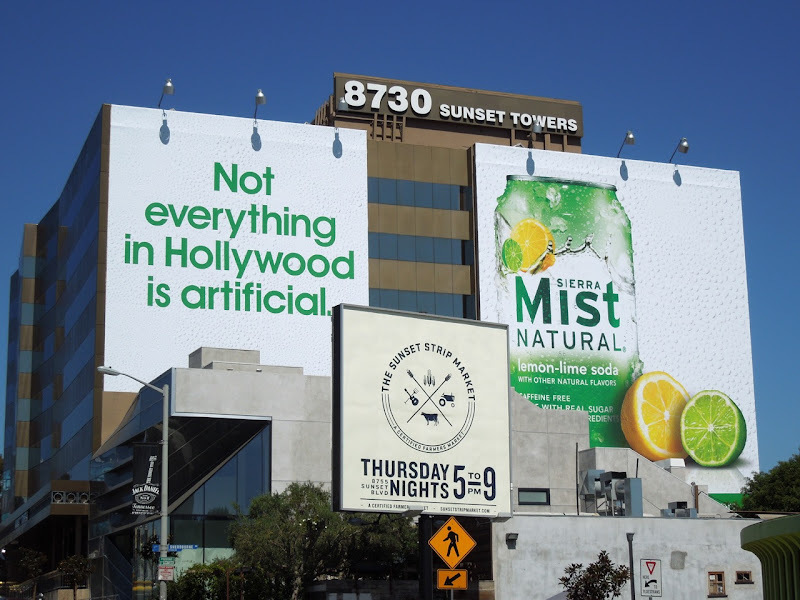 These giant-sized Sierra Mist Natural billboards were snapped along the Sunset Strip on July 6, whilst the large vertical billboard was spied along Vine Street in Hollywood on July 2. 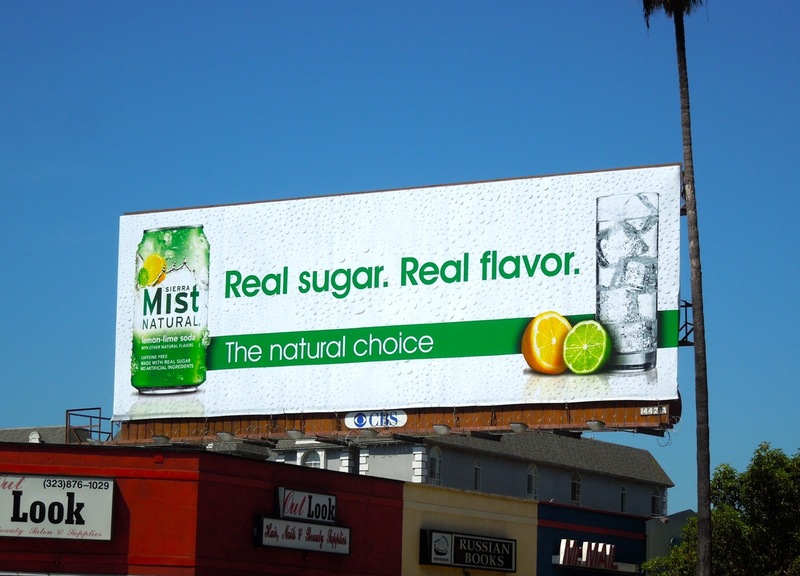 The standard landscape billboard with the 'Real sugar. Real flavor.' 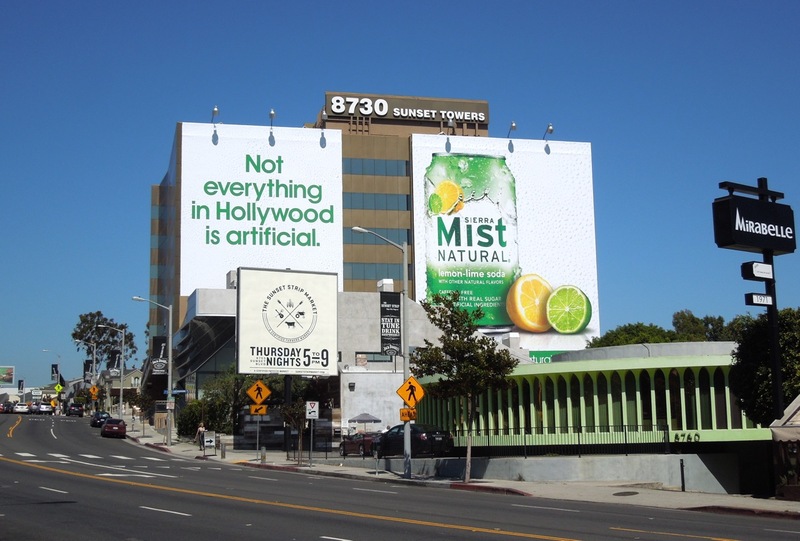 tagline was spotted a month earlier along Sunset Boulevard on June 7, 2012. 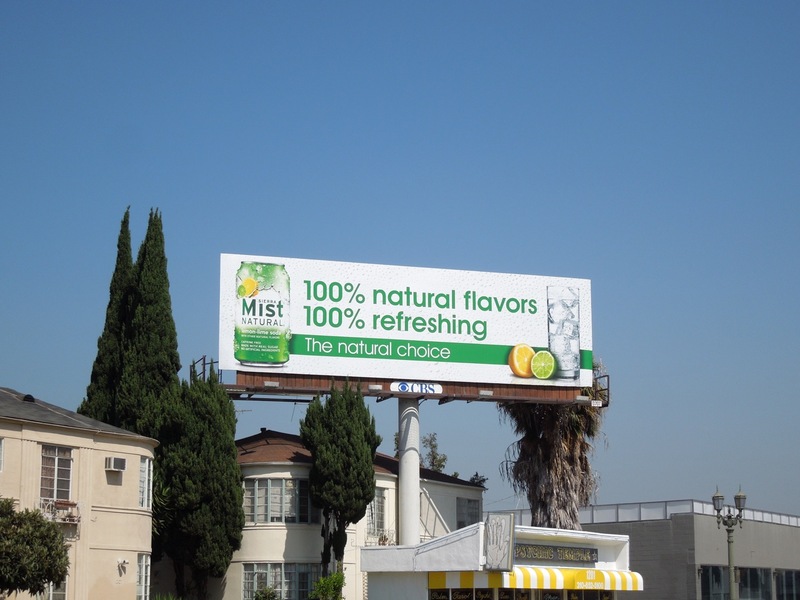 UPDATED: Not wanting to rest on their laurels, here's another Sierra Mist billboard supporting their natural and thirst-quenching credentials along La Cienega Boulevard on August 11, 2012. 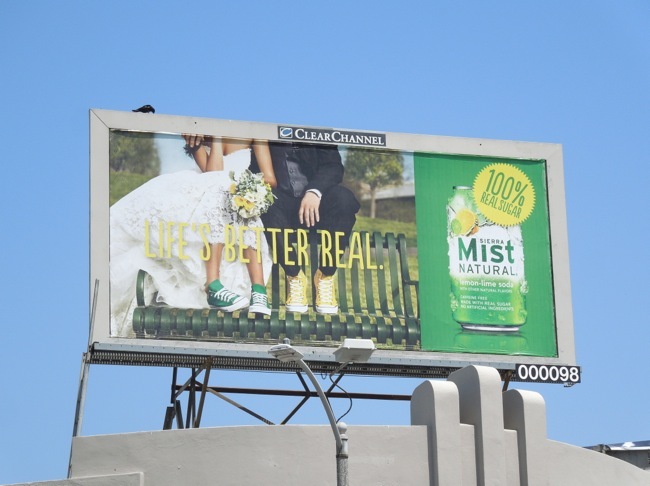 UPDATED: Almost a year later and here's a slightly more quirky lifestyle creative for the soft drinks brand, snapped along Beverly Boulevard on April 29, 2013. 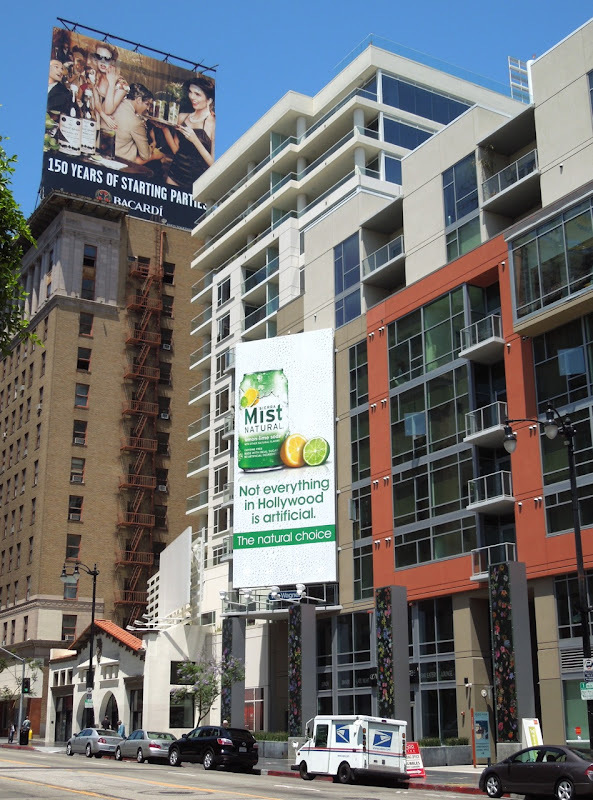 Plus a larger version was spied high over San Vicente Boulevard on May 10, 2013.